Backlinks are the most important Google rankings factor, It works for YOU and brings real organic traffic! Simply if you have more and better Llnks than your competitors, you will rank higher! Please note, Google Page 1 RANK will take time to achieve. 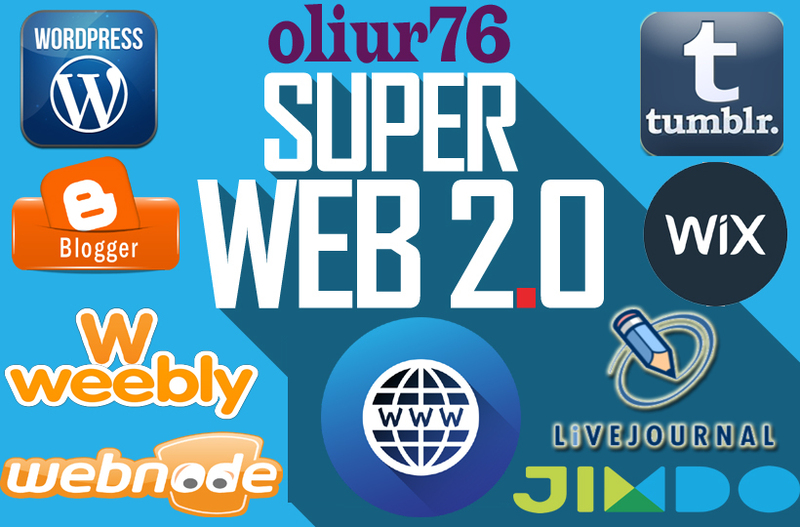 Your LlNK will be used to submit this campaign to generate 15 web 2.0 properties links, this is very easy, cheap, safe way to rank you link(s) in Google. We accept multiple URLs with unlimited keywords for each URL. make 15 Web 2 Contextual Backlinks With Access Details is ranked 5 out of 5. Based on 2 user reviews.